Yippeeee! 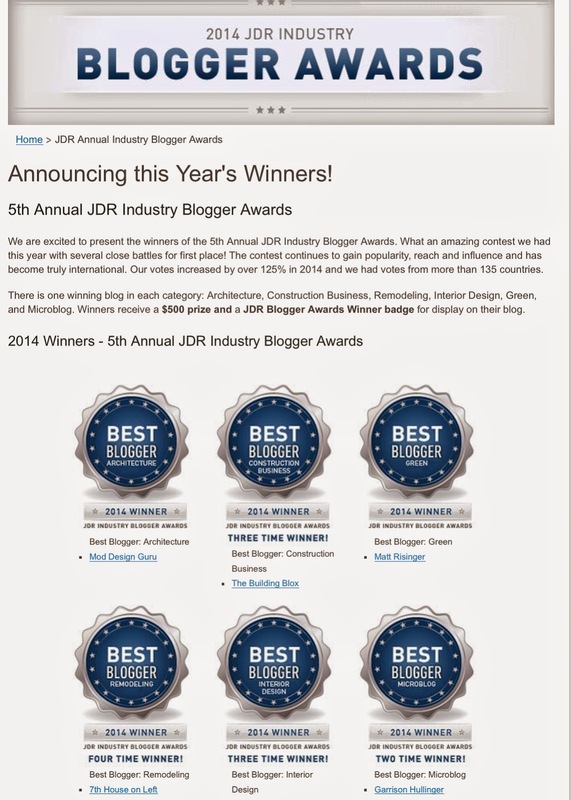 MoD Design Guru is the winner in the Architecture category in the 2014 JDR Industry Blogger Awards!! I can't thank all of YOU enough for all of your support and taking the time to vote! It means a lot!! The site earned a badge for display and a $500 prize! The contest really generated a lot of excitement....MDG was really dragging behind in the contest but ended up beating sites that I really admire (wowser)........competitors that are tremendous blogs and online magazines such as Decoist and Designhunter!! Congratulations to the other winners too! !